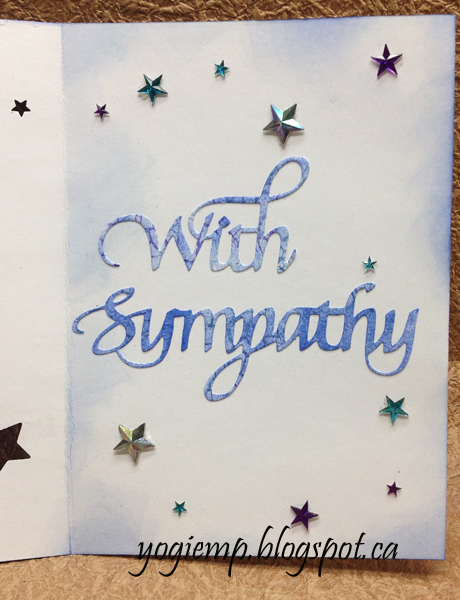 Also using a quote stamp by Quietfire Design "Perhaps They Are Not Stars..." and "Crackle Background"
Stunning sympathy card. 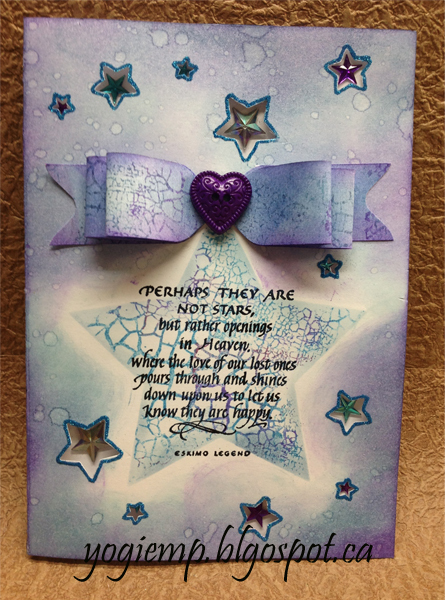 Thank you for joining in the Buttons and Bows challenge at Incy Wincy Designs. 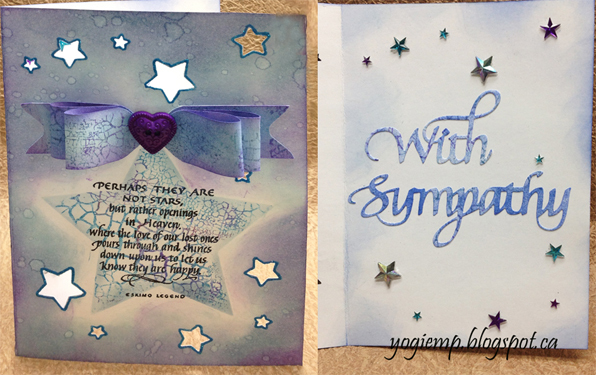 Thanks so much for playing along with the OLS this month!